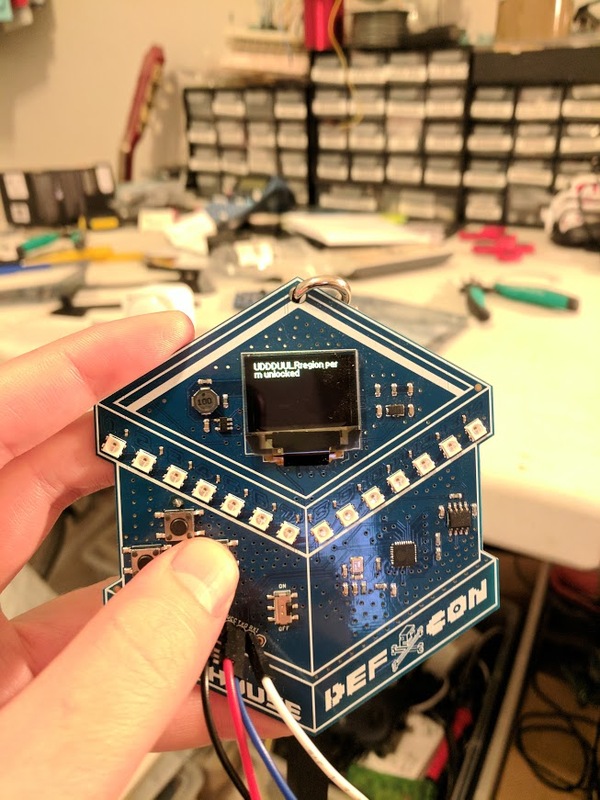 Defcon every year has many many different electronic badges that you can play with / hack / blind your friends with. 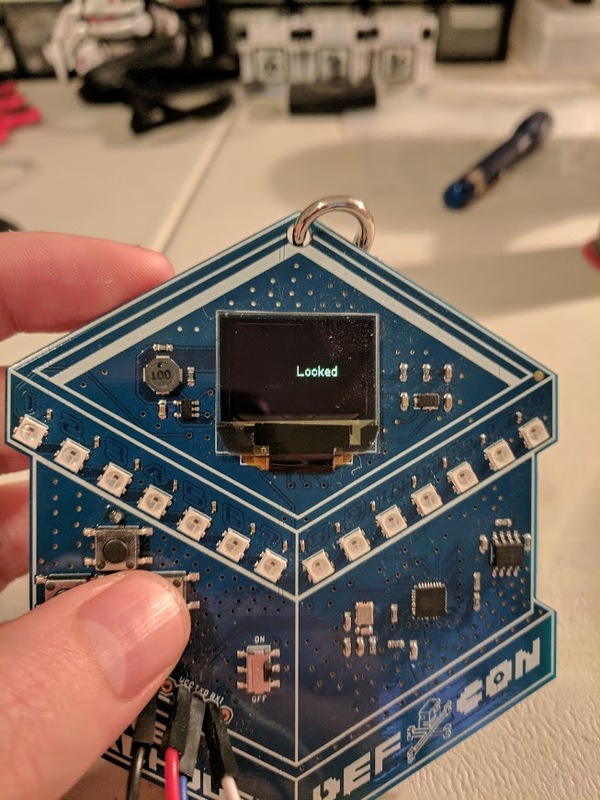 I was lucky enough to get one of these really cool badges and I wanted to figure out the lock codes from the hardware/firmware rather than trying to use the interface. 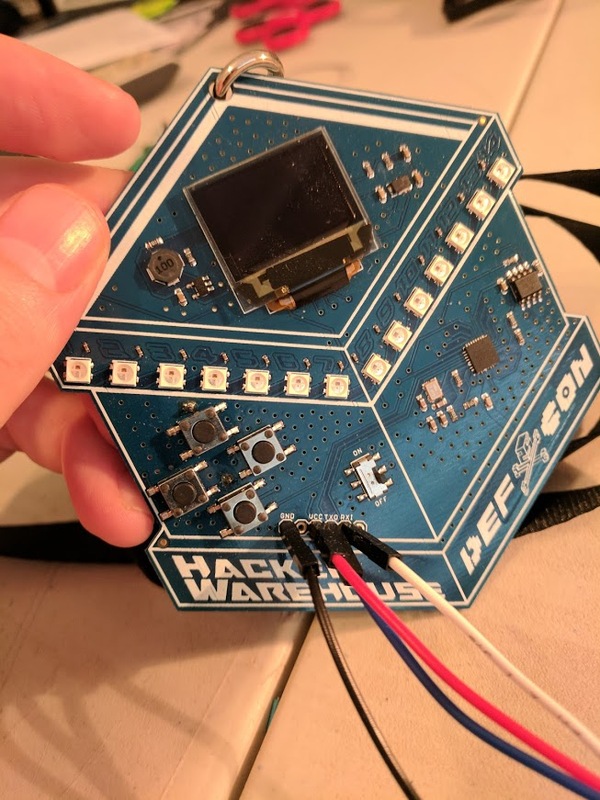 The first part was of course wiring up to the ESP, in this case the hackerwarehouse guys had nicely left the pins exposed as well as labelled for us! 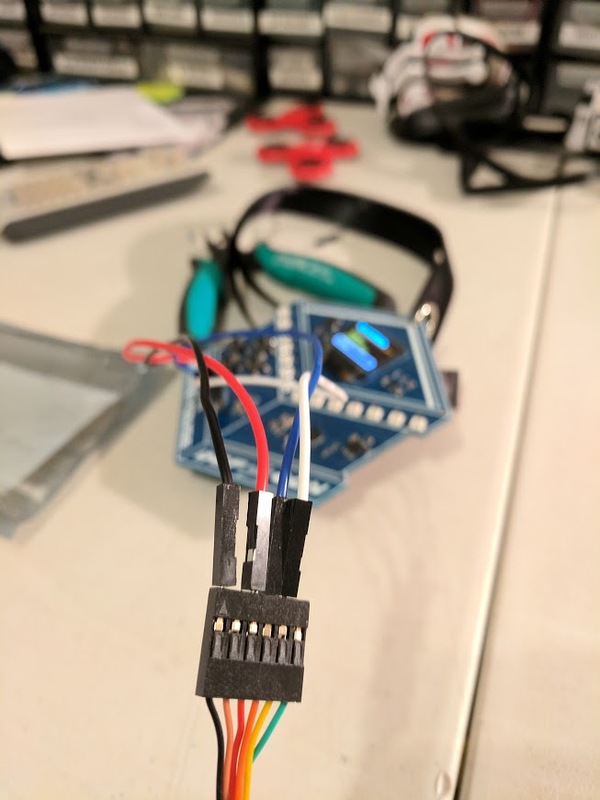 Soldered up some breadboard jumpers as they are easier for me to connect to the FTDI cable and I was away. 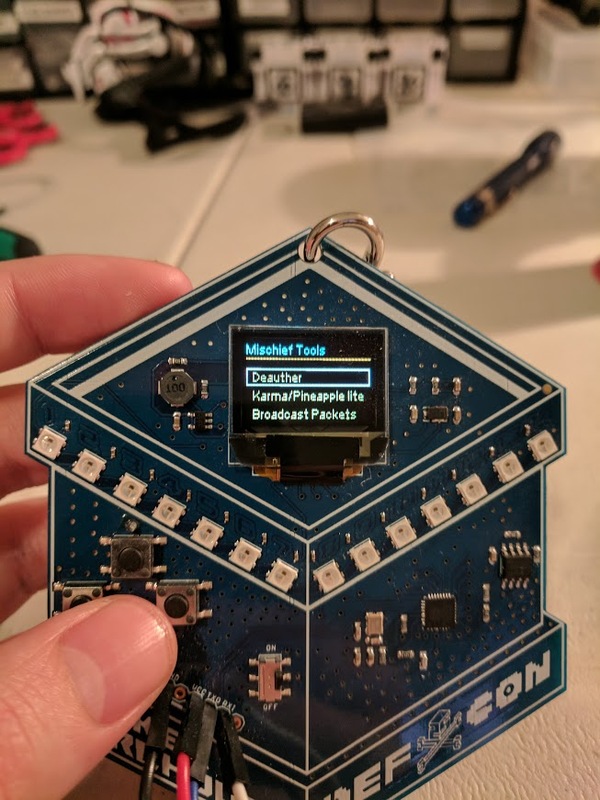 Now that the cable is connected we have to grab esptool from their github, so you can just run git clone https://github.com/espressif/esptool. Esptool is the tool from espressif that allows you to upload firmware (as well as download) from ESP devices. In this case the ESP8266. This looks a lot better! However our badge is constantly rebooting, and we need to get it to stop doing that so we can pull the firmware. Using the different buttons will put it into different modes and you can read about the ESP modes over at https://github.com/esp8266/esp8266-wiki/wiki/Boot-Process#esp-boot-modes , however holding the UP button while booting will put it into a stable 1,7 which is what we are looking for. This will essentially pull off everything from the flash, even though most of it is not used (instead we get many copies of the firmware). We do this at a baud of 74880 (you can push it higher, but this was most reliable for me). Next I tried to simply strings the file and the output was a lot easier to work with. 1342: see if I don't! 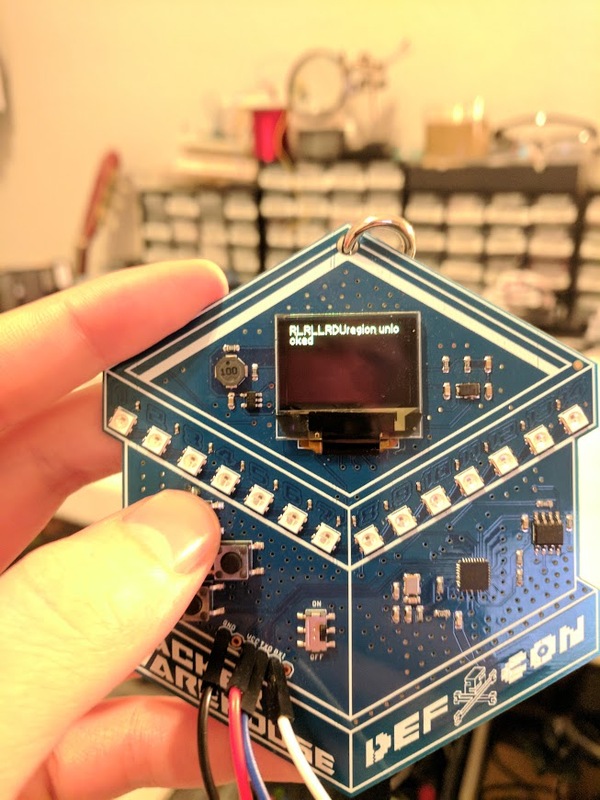 Are there any tools out there to help with reversing / decompiling bin’s for an ESP8266 ? Browsing to that link are some fantastic resources. 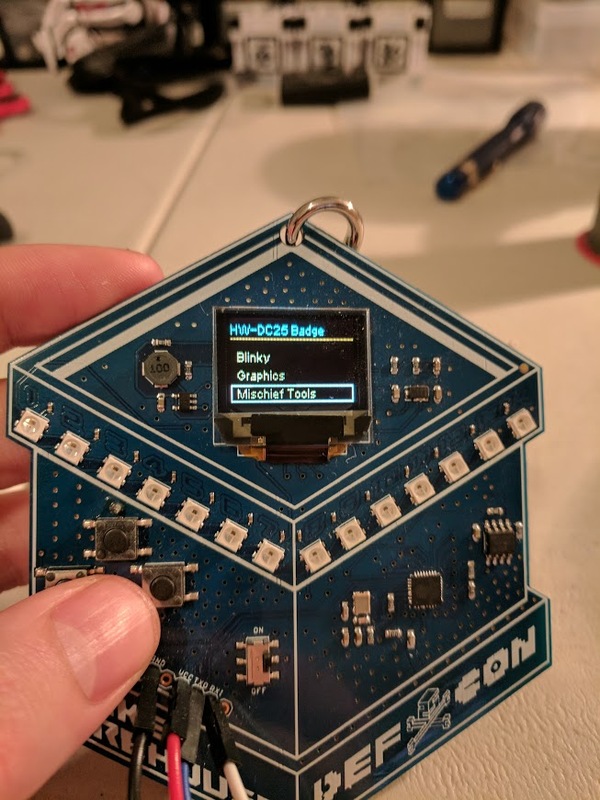 At this stage however the HackerWarehouse team released the code for their badge ( https://github.com/hackerwarehouse/HW-DC25-Badge ) and you could see from reading the code that the ‘locked’ screens often just meant the code was not being run, rather than you needing to unlock the features.